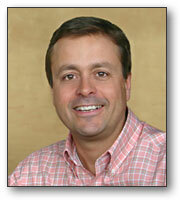 Andrew founded Express Color Printing in 1996 to serve the Montana printing market. After discovering that Montana has more elk and bison than print buyers, Andrew and his small team launched PrintingForLess.com in 1999, building the first true e-commerce commercial printing company. Andrew was named Montana's Entrepreneur of the Year in 2004 for his contributions to the local economy, and was recognized by Winning Workplaces and Fortune Small Business as a winner of the 2005 Best Bosses Award for innovative approaches that have created a high-performance workplace. Andrew has helmed PFL's growth from e-commerce pioneer to a leader in the MarTech space. He is an occasional CNBC contributor, has served on the board of IdealAlliance (formerly Epicomm, the Association for Leaders in Print, Mail, Fulfillment, and Marketing Services), and is active in Young Presidents Organization. Andrew cultivates a dynamic culture that both empowers and inspires PFL's people. Leading by example, he embraces challenge and strives to keep PFL ahead of the curve in technology innovation. He serves on the board of Epicomm (Association for Leaders in Print, Mail, Fulfillment, and Marketing Services), and is active in Young Presidents Organization. 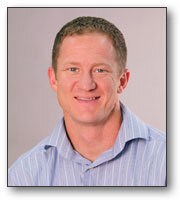 A competitive swimmer as a youth, he now dabbles in skiing and fly fishing, and enjoys floating the Yellowstone River. Andrew's devotion to his border collie, Jessie, was the inspiration for PFL's dog-friendly environment. He is inspired by PFL's hundreds of thousands of customers, from SMBs to the Fortune 50, the fine people he works with and the opportunity PFL creates for them to live their dreams in Montana. Andrew's top 8 book picks. Marne Reed has personally recruited more employees during her HR career to date than many of us will work with over a lifetime. Her role of leading the search for the right people and securing the right benefits to keep them happy is mission critical to the continuing growth of PrintingForLess.com. Marne has worked heavily with PFL's management team to translate its key people strategy into an effective hiring process and implementing a metrics-based performance evaluation system. In addition to overseeing the Human Resources and Accounting departments, Marne has taken on guiding PFL's expansion into enterprise software solutions, which includes proprietary Tactile Marketing Automation® (TMA) platform and robust API integration's with Marketing Automation and CRM programs. She is responsible for providing vision, leadership and hands-on execution for all initiatives supporting this key growth area as well as the overall health and growth of the PFL brand. Marne grew up in rural New Mexico and moved to Montana in search of new challenges. As committed as she is to her work, she's an even more devoted family-lover who lives for spending time with her husband, her two sons and two step sons both in Montana outdoor adventures and more home-bound pursuits such as cooking and gardening. Wyeth Windham is someone who is never at a loss for words or the wherewithal to get a job done. After starting in the Technical Service department in November 2003, Wyeth quickly wound his way up into production management. As a member of the production coordination team, he developed and documented more efficient processes for pre-press output and plate production. As co-manager of PrintingForLess.com's production facility since 2004, Wyeth has been instrumental in coordinating process development efforts to ramp up the plant's throughput and staff productivity to record levels. Born and raised in Bozeman, Montana, Wyeth earned his degree in business marketing and Spanish literature and language from Montana State University in 2003. His degree pursuit included a school year studying in Spain along with his wife, Diana. Wyeth enjoys cooking, a good movie, being out in Montana and sharing his time with friends and family over great food and good wine. The newest development in his life is his new baby girl, Athalia, born in June 2005. He is grateful to have both a career and home life that drive his passion and challenge him to grow every day. Daniel is a business-driven, entrepreneurial-minded marketer with an extensive background in web-based marketing, search engine optimization, and direct sales. His passion is helping small businesses reach the next level. Since joining PFL in January 2005, Daniel has leveraged his strategic and hands-on approach to business to propel company growth, in his roles as Director of Business Development, Marketing Manager and Technical Service Representative (TSR). He discovered his passion for business and marketing in college when he started developing websites for local businesses and helping them get found online. He has been involved in Internet marketing for more than 10 years. Daniel earned his bachelor's degree from Montana State University in business marketing with a strong emphasis in computer science. He credits growing up on a cattle ranch in central Montana in helping him develop an early appreciation for rolling-up his sleeves and getting the job done. For personal pursuits, Daniel enjoys officiating high school basketball, boating, water sports, and spending time with his wife Kelly and their yellow lab Daisy Mae. Tom was born in Rochester Minnesota. He married his high school "sweetheart", Lisa. Together they raised 3 children in Minneapolis. Nick (26) lives in Hamilton MT and Alec (24) and Laura (22) live in Minneapolis. Their love for the outdoors took them to Montana most summers for family vacations. Moving to Montana has been a goal for several years and it became a reality in October 2013. Tom and Lisa enjoy camping and hiking in their free time, most often selecting locations that provided fly fishing opportunities. Tom has completed 5 marathons and while he continues to run he spends more of his free time on his road bike. 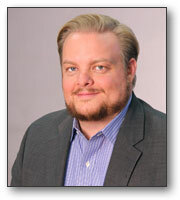 Tom has an associate's degree in Graphic Arts from Minneapolis Technical Institute. 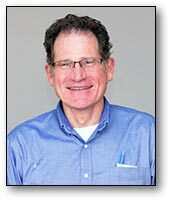 He started his printing career as a press operator for Curtis 1000 in St. Paul MN. 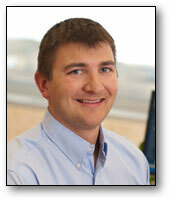 He moved through several leadership roles before taking a position as a Production Manager for Cenveo in Minneapolis. In 2006 he took a position with Standard Register as the St. Paul plant Manager before advancing to Regional Operations Manager in 2012. Born and raised in Livingston, Casey still stands behind his commitment to "Never leave Montana." Casey received his Bachelor's degree in Computer Science from Montana State University and began his career with RightNow Technologies in August of 1999. He held various roles in the organization throughout the past 15 years including Software Engineer, Solution Architect, Technical Architect, Consulting Manager and ultimately Senior Director of the NA Consulting Technology team. The highlight of his career was being part of a small startup company that went public in 2004, growing to over 1000 employees, and ultimately was acquired by one of the largest software companies in the world: Oracle. Casey and his wife Julie are highly involved in their kids' sports activities, including soccer, football, baseball, hockey and skiing. Casey's motto is "Work hard play hard", and he has a strong passion for bow hunting, fishing, floating the Yellowstone river and spending time outdoors. 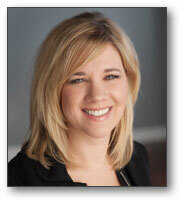 Heather is a systems thinker and a builder of processes, people, and organizations. Currently focused on building stunning Customer Success for PFL, her previous career at PFL includes experience in Organizational Development, Sales, and Customer Service. Born and raised in Auburn, California, Heather earned her bachelor's in Business Administration in Phoenix AZ, where she spent 7 years working in commercial finance and consumer loan servicing. In 2000, Heather made a career shift to professional cooking and restaurant ownership, when she relocated to Bozeman to pursue a rural quality of life and her passion for supporting local and sustainable agriculture. 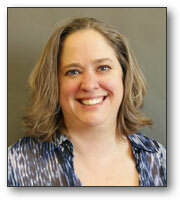 In 2008, Heather made the shift into her 3rd career when she began working for PFL. Heather has retained her passion for food and cooking, and also enjoys gardening, reading, music, and competitive powerlifting. 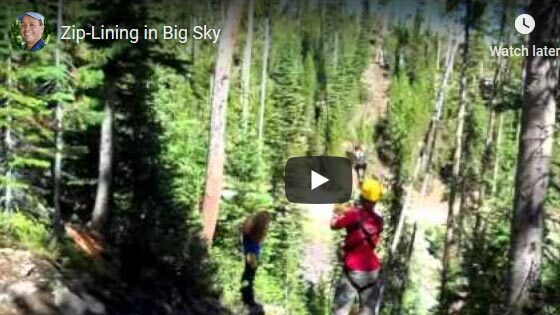 Andrew Field having fun zip-lining in Big Sky, MT.